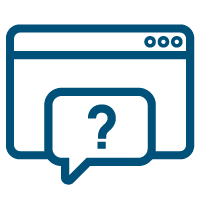 Below are answers to some of the most common questions we are asked about our hosted desktops. 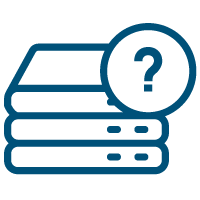 If you are looking to resell Hosted Desktops, and are considering becoming a GoCloud partner, you're bound to have questions. If you can't find an answer to your questions in the list below or elsewhere on our website, please contact us directly and we will be happy to help. Do customers need to buy any special equipment? No, customers can use any PC, Mac or Linux machine to connect to their hosted desktop. 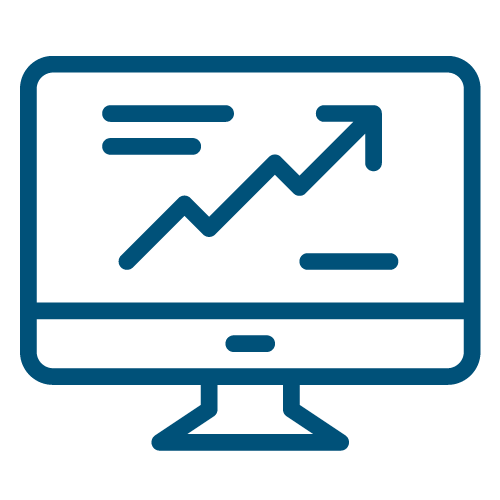 One of the initial cost-savings is the ability to continue to use existing PCs. 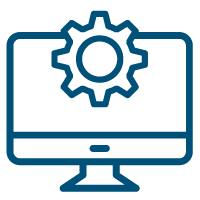 As the processing power, RAM, and storage are provided by our servers customers are even able to use older PCs that would be unable to run a new OS themselves, thereby extending their working lives and ROI. Alternatively, you may decide to supply thin clients, to further enhance the benefits of moving to a hosted desktop environment. Thin clients are physically smaller PCs; they cost less than a normal PC (aka a "fat client"), and use a lot less energy. Of course, as a hybrid measure they may opt to simply replace existing computers with thin clients as they begin to fail. Hosted desktops will also work on tablet devices such as the iPad and Smartphones such as the BlackBerry and iPhone. Do customers need internet access? Yes, a reliable Internet connection is essential. As the hosted desktops are housed within our UK data centres, the only way for customers to connect to them is over the Internet. How do I know how much internet bandwidth my customers will need? As a GoCloud partner we will assist you in calculating on a per site basis how much bandwidth your customers will need. What if my customer's internet connection goes down? We are able to offer advice on ensuring a backup solution is in place so that, should an internet connection go down, customers will still be able to access their desktop via a backup Internet connection. This is an opportunity for partners to up-sell Value Added Services such as a backup ADSL connection or dongle solution. Is the hosted desktop secure? Absolutely. All transmissions over the Internet to and from a hosted desktop are encrypted. Hosted virtual desktops are not only housed within our fully secure UK data centres, manned 24/7 by security personnel, but all the data is actually stored and processed on servers within the data centre itself, so all that is actually transmitted across the internet are the screen changes on the desktop, key presses and mouse movements. Consequently, a hosted desktop is even more secure than a normal desktop PC. We only use ISO27001 accredited data centres. Are customer data and files backed up? Yes. We backup all customers’ server data to an offsite location, and we also provide partners with the option to sell their own backup service. What applications can my customers use on their desktop? As the requirements of each application are different not every application is suitable for use on a hosted desktop. However, the vast majority of Windows applications will run with no issues whatsoever. 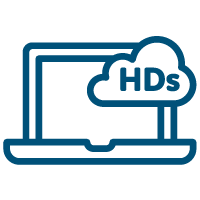 If you are unsure whether an application is suitable for GoCloud's hosted desktop, contact us. Are there any applications that cannot be used on a hosted desktop? Certain applications may not perform to their full potential in a hosted desktop environment, such as Autocad, video editing software or other similarly graphically-intensive applications. If you are unsure as to whether a certain application will run, feel free to contact us and check if it does or not. In our experience 99% of software does work on Hosted Desktops. Software that causes damage to other systems such as malicious DoS attacks, and streaming applications are not permitted. How do I manage who can log on to the desktops? Hosted desktops are secured by using a username and password combination just like a normal Windows desktop PC. Can I use network policies to control program access or user functionality? Yes. Although the GoCloud hosted desktop network is built using virtualisation technologies, you are still able to control your network in exactly the same ways that you would control and administer a hardware-based infrastructure. As all of GoCloud's services are fully managed, all you need to do is use the Active Directory Users and Computers tool to add or remove users. Can customers use their own applications? Yes. We can add almost any application to a customer network, making it available on whichever desktops they wish. It is the customer’s responsibility to ensure that they have the correct software licences for use on a multi-tenanted, hosted infrastructure. Are there any restrictions on the use of the desktop? No. The hosted desktop places no additional technical restrictions on the normal use of a desktop. Applications can also be installed by partner administrators. However, the administrator of the hosted desktop network is able to place restrictions on the use of a hosted desktop, just as any administrator of a network may do. As GoCloud's servers are housed within data centres situated in England the use of the hosted desktop is bound by the laws of England & Wales and, obviously, hosted desktops may not be used for illegal or unlawful purposes. How do I manage a customers Exchange server? As a partner you will have access to our portal to manage your customers’ hosted mailboxes. What if customers cannot access their office PCs or thin clients? If they are unable to access their office or PCs because of fire, water damage, theft or vandalism, or staff cannot get to the office because of bad weather, or industrial action - unlike a standard computer network, your hosted desktops will provide you with multiple options to deal with this range of minor/major problems. Hosted desktops can be accessed from anywhere with an Internet connection, for example, their home, business hubs, business centres with hot-desking, a helpful neighbour or client, even hotel rooms; basically, anywhere with an Internet connection, because all connections to the remote hosted desktop are 100% encrypted, not just the log-on process. Can customers access their desktop at any time of the day? Yes. There is no restriction on when the hosted desktops can be accessed, unless one is specified within the security policy of a customer network itself, which would be a restriction set by you or the customer. GoCloud do not impose any such restriction as standard. Partners are required to provide their own first line support. We offer our partners 24/7 2nd line support. Users can access the Hosted Desktop from almost all Internet-enabled devices, including PCs, Macs, iPads, iPhones, BlackBerrys and Android devices. What platforms do you operate the service on? The hosted desktops run on Citrix Xenapp or Windows 2012 R2, contained in a VMware virtual machine. The hosts are branded enterprise servers and they in turn connect to high-end data centre SANs running in a RAID 5/10 configuration. We use enterprise-class Cisco firewalls. What technical infrastructure is the hosted desktop based on? The SANs are configured in a RAID5 set, and all SAN nodes are also in a network RAID5 configuration. Should a single disk fail, customers will be unaffected apart from a small temporary performance drop, whilst we replace the failed disk. In the event that a SAN node fails, customers will be unaffected apart from a small temporary performance drop, whilst we replace the failed SAN. We also have dual diversely routed transit connections to the internet. What resiliency does the service have? Can I used newer or older versions of MS Office? As standard, we use the most stable release of MS Office. This does not necessarily mean the latest. However, upon request, we can provide other versions, providing the current Microsoft license agreement allows for this. Printers can be configured as network or local devices. When the Hosted Desktop client connects to the Citrix or Windows server, local/network printers are mapped automatically. How do I restore backups of customer data? Backups are managed by GoCloud. Restores can be requested from the GoCloud Support Team. Our default backup period is 14 days, but extra backup storage can be purchased. What kind of internet speeds do my customers need?